The birth of a child is a momentous occasion for every parent. We read up every single article, blog or book on child birth and parenting to ensure we are well informed and make the best and right choices for our newborn. Cord blood banking is one option that most expecting parents with a family history of certain inherited conditions take very seriously. Most private cord blood banks claim cord blood to be a spare parts kit for your baby’s future. These claims have not gone in deaf ears with more and more parents in Toronto, considering banking their baby’s cord blood. The blood from the baby’s umbilical cord is taken just after birth, processed and stored within 24 hours. 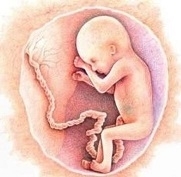 It may be collected ex-utero (after the removal of placenta) or in-utero (when the cord is still connected to the uterus). The umbilical cord of a baby contains blood making cells or haematopoietic stem cells similar to the ones in our bone marrow. These cells are totipotent (have regenerative capacity) and when transplanted into a child or another matching member within or outside the family, produce new blood cells that help enhance immunity and fight the disease effectively. In other words, for people suffering from blood related disorders and other diseases like cancer, cord blood can be a life-saver. The stem cells from the cord blood are isolated and preserved in liquid nitrogen for future. The cost of cord blood banking depends on what storage options you choose. Public banking or donating cord blood is an alternative option. It is free of cost. The procedure is simple but the donor remains anonymous. Pediatricians endorse public banking for ethical reasons as it increases the chances of finding matching donors and helps save more lives, given the fact that only half of the patients waiting for a stem cell transplant find a matching donor. Most public banks screen expectant mothers for genetic disorders and STD’s and only accept singleton pregnancy cases (in other words if you are carrying twins or triplets you are not eligible). Where can you go in Toronto and the GTA? If you are not going to cringe at the cost here are some private banks in Toronto and the GTA, you can consider. CReATe is conveniently located in downtown Toronto and has a state-of-the-art robotic storage facility. For a free information kit about cord blood banking and their services, you can email them at info@createcordbank.com. To know about their charges click this link. Cord Blood Bank of Canada (Markham) offers affordable service prices and flexible payment options for parents who are expecting twins and triplets. Check their website for more details. Insception has partnered with hospitals like Mount Sinai and Sunnybrook in Toronto and gives discounts when you go in for long term storage. It also has a refund policy for services not rendered (the cord blood was not collected due to certain unavoidable reasons, or it is a poor quality sample). For their fees and processing charges click this link. Progenics (Toronto) offers free bedside pick-up and shipping for hospitals in the GTA and pays partially for collection and shipping in areas outside the GTA. For information on fees click here. Healthcord is a prominent private bank that has superior processing facilities with multiple locations in Toronto and the GTA. 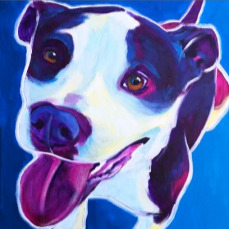 Visit their website for more details on registration and pricing. Public donation centres - Canadian Blood Services, the William Osler Health System, Victoria Angel has tie ups with 33 hospitals in the GTA region and accepts donations if you meet the eligibility criteria. Public banks are funded largely by philanthropic foundations. Can be effective in treating inherited blood disorders like, thalassemia, sickle cell anemia and cancers such as leukaemia, lymphoma and melanoma. Radiation and chemotherapy treatments cannot distinguish between stem cells and cancerous ones in the bone marrow and end up killing both. 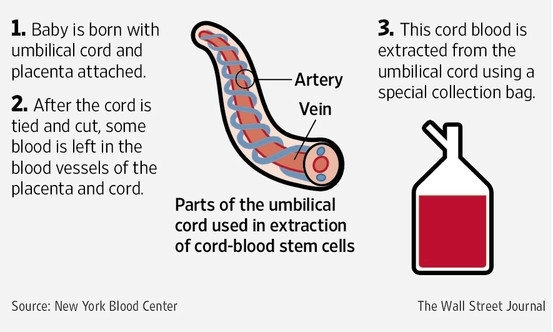 Cord blood can help regenerate good cells. Cord blood is more suited for transplantation than bone marrow since the cells are at an earlier stage of development and risks of reaction against a recipient’s immune system are less. Concern that collection timing and process may impact infant blood supply at time of delivery. Many a times the sample does not contain enough stem cells to warrant banking. Weigh your options carefully and order your kit well ahead of time and do not forget to carry it with you to the hospital. Talk to your obstetrician, pediatrician or physician about the need for cord blood banking. If you feel it is essential to go in for private cord blood banking, then get all your questions clarified and do your homework before you choose the right one for you and your baby.